What can my cheapest lens do? 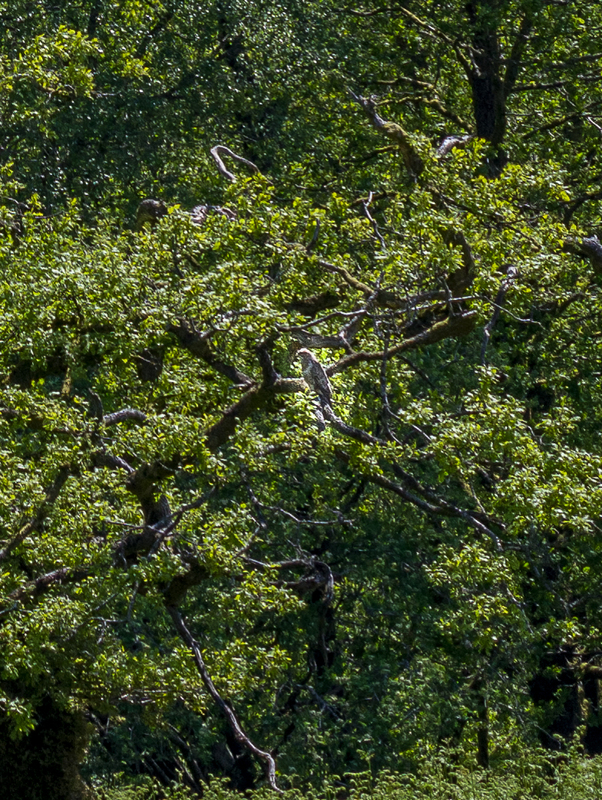 Going through some photos taken in the Lake district earlier this year I spotted a bird of prey in the trees on one image - so I've had a go at enlarging it just to see how much detail I could pull out. The result isn't that great as an image but it was only when I compared the crop to the original that I appreciated what the lens and camera combination had captured. 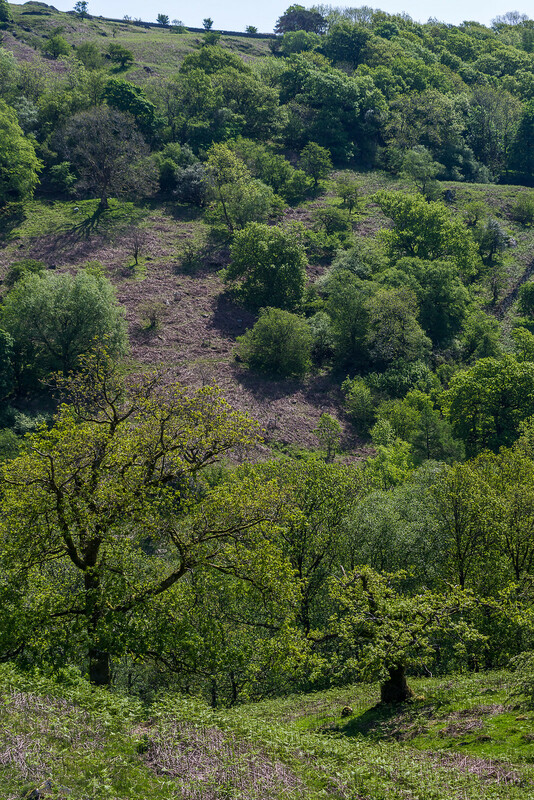 The focus was on the foreground trees so the hills and trees in the distance are a bit out of focus, but I think you can also see the weakness of the lens (I could probably improve this a little with better PP) - then again the lens cost me less than £20! the 1600px version looks oversharpened, but I guess that's the hideous flickr effect?